A newly expanded McDonald’s dollar menu will offer even more deals. McDonald’s reported strong restaurant sales, saying its value deals and promotions helped to draw in consumers, during a conference call Tuesday about the fast food chain’s third-quarter earnings. The McDonald’s earnings report shows that efforts to drive more customers to the chain's restaurants have worked. Global sales at restaurants increased by 6%, in the third quarterly traffic increase. Sales outperformed the 4.5% gain expected by experts, Reuters reports. In the U.S., restaurant sales rose by 4.1%, in a traffic improvement for the second quarter in a row, according to Reuters. McDonald's shares rose .33 percent (or 54 cents) on the day after the earnings call, according to CBS News. According to the company, U.S. promotions like $1 drinks, $2 smoothies and espresso drinks and the McPick 2, which offers two food items for $5, helped to bring in traffic. And going forward, a newly expanded McDonald’s dollar menu will offer even more deals. McDonald’s new dollar menu will launch nationwide next year in move to replace the Dollar Menu, which has not done well for franchisees, according to Bloomberg. The McDonald’s new value menu will offer items at $1, $2 or $3 and hopefully nail down the strides it has made in increasing restaurant sales over the last two quarters. 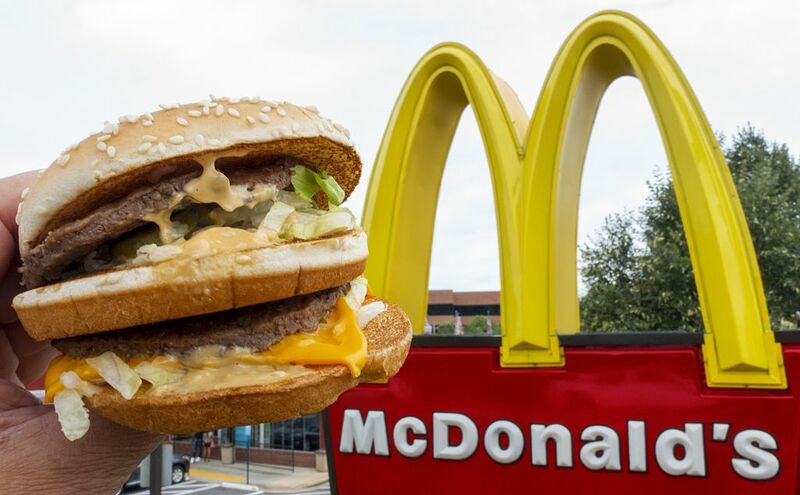 According to McDonald’s earnings report, the company’s total revenue fell 10% to $5.75 billion following restaurant sales to franchisees and strategic partners, according to Reuters. McDonald’s also said adjusted earnings were $1.76 a share, missing the forecast profit by one cent, CNBC reports.